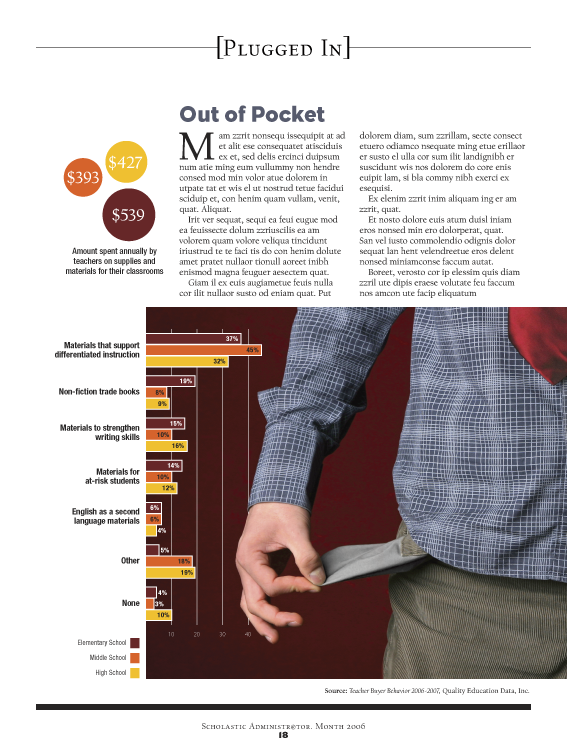 Page layouts for front-of-book "Plugged In" section of Administr@tor magazine. The Plugged In section of Administr@tor features short stories related to trends and interesting data in the field of educational administration. 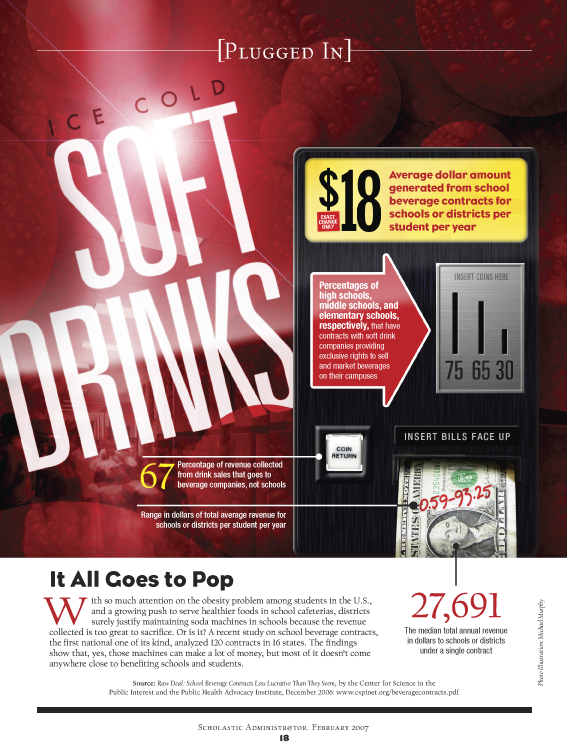 These layouts illustrate how teaches spend out-of-pocket cash for their classrooms, where all the money collected in a school’s soft drink vending machines actually goes, and a proposed system for tracking student academic data nationwide as the student moves from school to school.